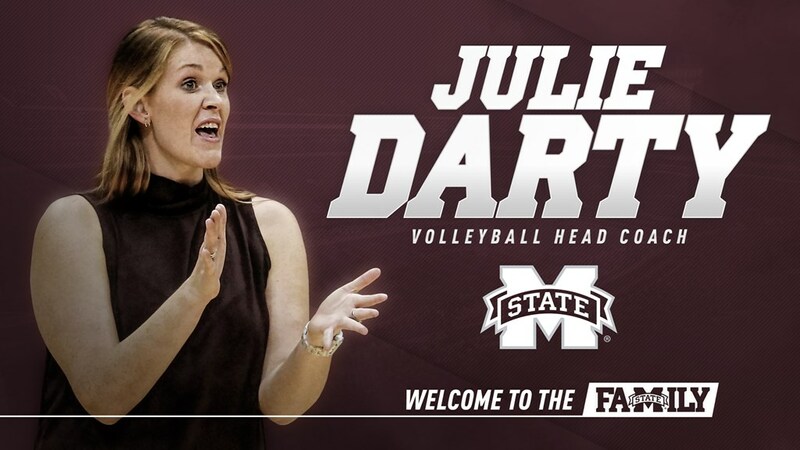 Mississippi State has announced their 12th head coach as Julie Darty, who served as the head coach at Jacksonville University since 2014. Darty is taking over after David McFatrich resigned from the program after three seasons with the Bulldogs. Darty has been coaching at the collegiate level for eight years now, including four as a head coach and two years as an assistant in the SEC. She turned ASUN’s Jacksonville into one of the top programs in the league with an 18-10 overall record in 2017 including a 9-2 home mark. The team’s main gym was destroyed by Hurrican Irma, forcing them to practice and play in area gyms. Prior to Jacksonville she was the associate head coach at South Carolina in 2013 and the assistant coach and recruiting coordinator the year prior. Darty is an Oviedo, Florida native who has a degree in communications from Mercer where she graduated in 2008. With Mercer, Darty was a four-year player on the team, earning ASUN All-Freshman honors and led the team in kills per set in each season with the Bears.